Walk moments from your student accommodation to the Business School, or 12 minutes to Newcastle University. After class, stroll through Newcastle’s diverse city centre with its beautiful quayside and incredible Victorian architecture. With St James’ Park just over the road, you can cheer on football games and soak in the famously ebullient atmosphere. Shop in Eldon Square, see a film at Tyneside Cinema or catch a gig at O2 Academy. 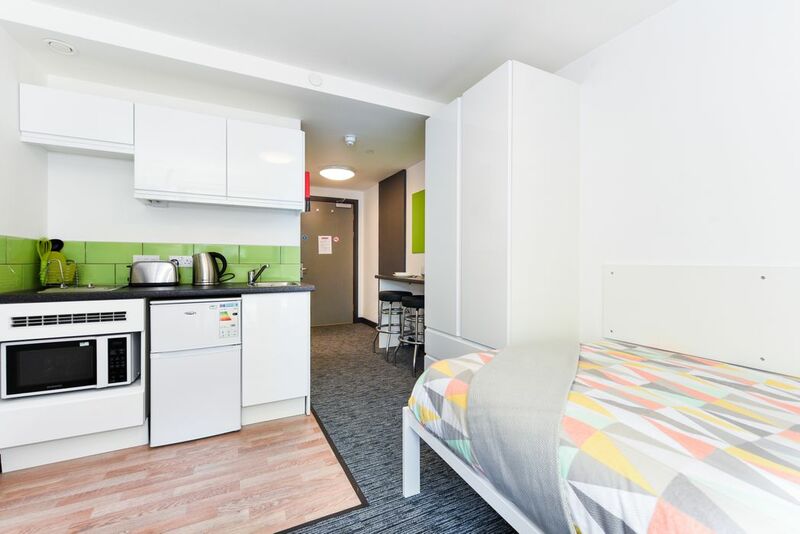 Pick Newcastle University accommodation in a perfect location living in a studio or shared flat just five minutes’ walk from the city centre. 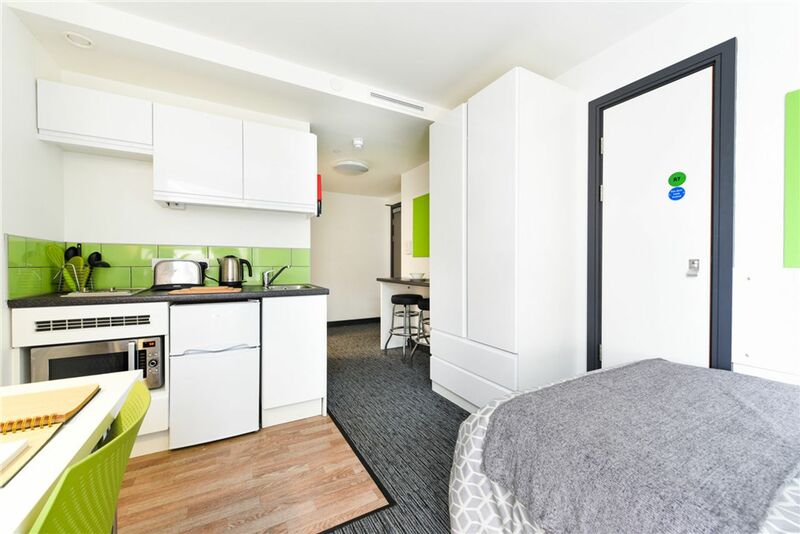 Feel at home with modern, bright facilities in a brand-new building with a mixture of comfortable ensuite shared flats and stylish studios. 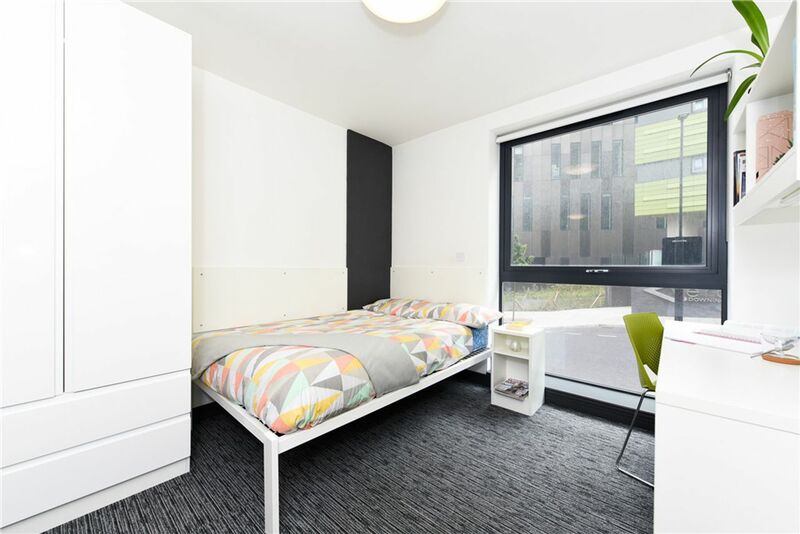 Ensuite rooms with shower cubicle in shared flats include a ¾ bed, desk and chair and double wardrobe with drawers. Use high speed internet, watch TV or cook in the well-equipped kitchens where each person has their own cupboard. In the studio you’ll find a ¾ bed, desk and chair and double wardrobe with drawers. There’s a bathroom with shower cubicle and kitchen with a cooker hob, microwave oven combi, toaster and kettle and breakfast bar with stools. Studios come with washing machine, TV, ironing board, iron and vacuum cleaner and 24 hour security, fob entry and CCTV will give you complete peace of mind. 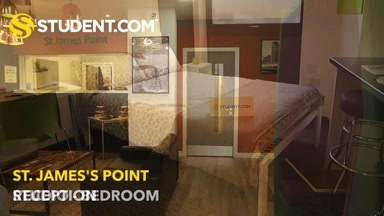 We couldn't find a room that matches your preferencesView all Private Room in St. James' Point. We couldn't find a room that matches your preferencesView all Entire Place in St. James' Point.